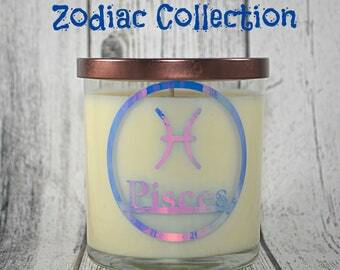 Customize your candle with your choice of Fragrance and wick style! 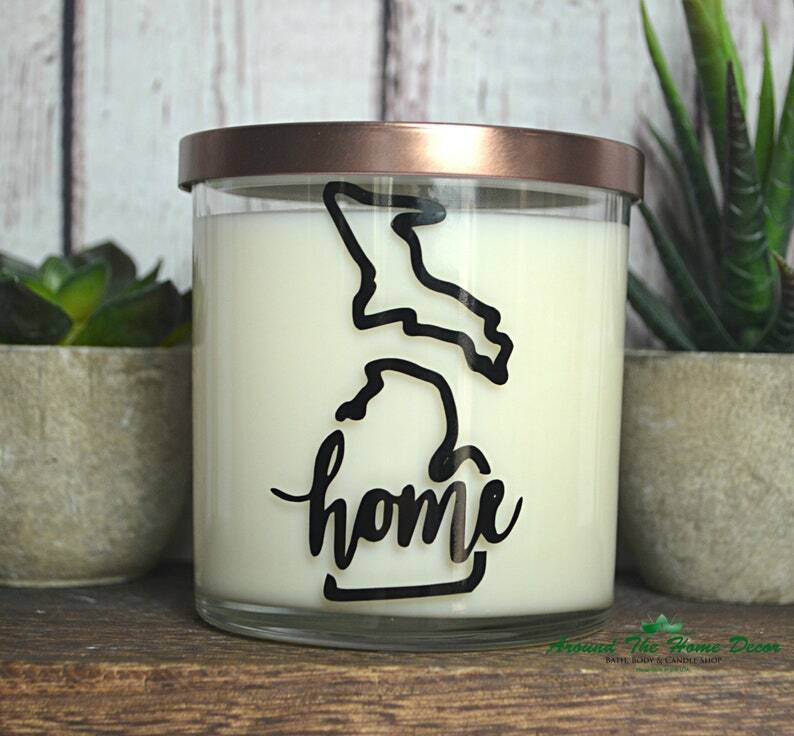 This listing is for 1 Home State Designer 9 oz. Soy Candle with your choice of Fragrance and either a Cotton Braided Wick or a Crackling Wood Wick. Choose any of the 50 Unites States by letting me know in the personalization box which one you'd like. The design is made of Black Vinyl cut and applied myself to give your handmade item a gorgeous finish that will look wonderful in any room and please any gift recipient. Please see photo 5 above for the complete list of fragrances available. Price includes Gift Box. Gift packaging (ribbon and tag) can be added on for an additional cost at checkout. Looking for Candles for your Event? I can do Bulk orders! Please request a custom order.